Our second campaign with elves! It is time to organize our threads. We open this one to talk about our second Kickstarter. 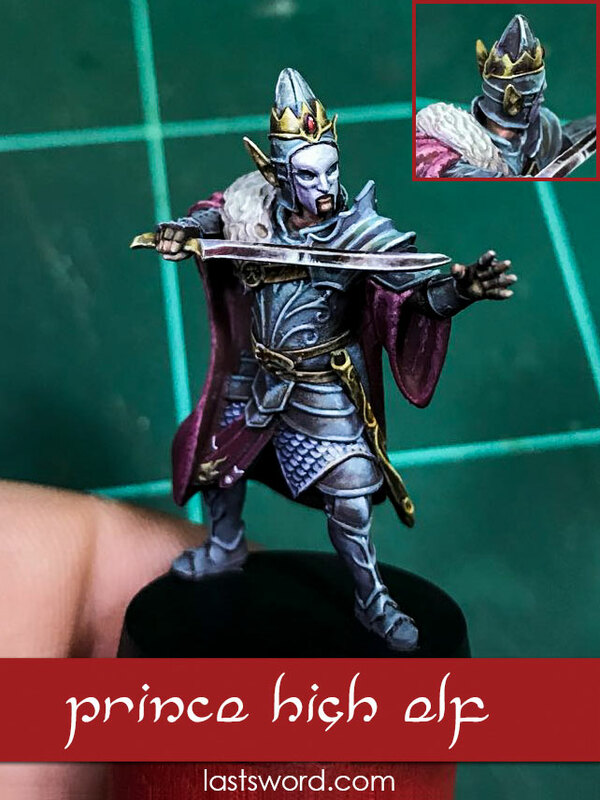 Afther our Reichguard knights project is the time for something new, our High Elves, called The Elven Lords. 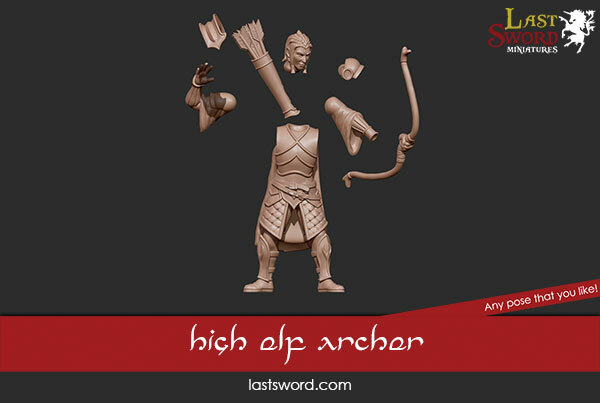 We ara restiling the High elves, and adding all details that we like. We know that is not "old warhammer", but anyway we expect that you will like. 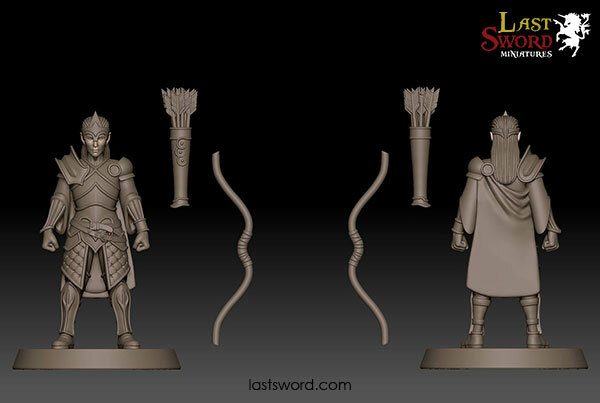 The Elven Lord are a proyect with two regiments and two foot characters. Today we can show your our Spearmen. Besides, we have taken a 360º video of anElf Spearman. What do you think about our new project? Last edited by Comi on Sun Sep 02, 2018 10:50 pm, edited 7 times in total. Hi guys, keep working in our elves! Our second unit is a bowmen regiment. This is a T 3D model, with out any pose. But it is probably more of a 9th Age thing than an Oldhammer thing. Have you posted them on the 9th age forum? I bet they'd kill for some decent Elf archers over there. The GW High Elf ones were pants* even before they were cancelled. *edit: "pants" means dreadful/awful/very bad. Tx for your comment Gallow. I found the thread on 9th age after I posted. I saw a comment saying they were too heavily armoured. I like heavily armoured High Elf archers, please tell me you are keeping this level of armour. Also, do you have any idea when you will be running the kickstarter? We would like launch the Kickstarter soon to sent everything before christmas, or later, but be sure our options and tell the people when it will be ready. Anyway we are still working on it, so first we need to finish with all that. All pleges will be up on monday at 18:00 CEST. Our Kickstarter is on now! 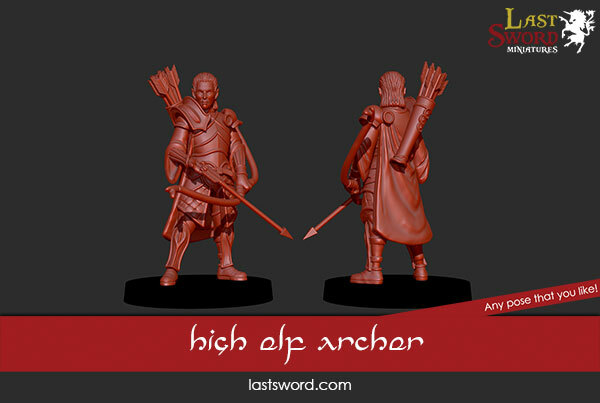 Besides we have published new pictures of our elven archers. We are really sorry to say that we have canceled our Kickstarter. We weren't getting good result. All our money is invested in that project, so we going to rebuilt it again and launch again in a few weeks. Sorroy about that, and thank for your support! We are still working in our Elven Lords. Last days we have crafted 100 models to check our production molds. Nowadays we are painting, and we are not sure with the color of the helmets hears. Wich color do you think looks better? Thanks guys for your oppinion!